Wilde Thing: Chapman, a nonactor, plays a live wire trying to make it on the margins in Barnard’s powerful social-realist fable. I want to tell you about an extraordinary filmmaker and her latest extraordinary film, because it didn't get within 100 miles of Vermont, and, now that it's just become available to stream or watch on DVD, it would be a crime to miss it. First let me tell you about the woman who made it. Clio Barnard is among the most visionary figures in British cinema today. The Museum of Modern Art and the Tate have showcased her work. She's become an international phenomenon. What makes that accomplishment so remarkable is that she's accomplished it with just two films. 2010's The Arbor is a picture that can without hyperbole be called a genre unto itself. The writer-director has said she regards cinema as "a collective hallucination." How's this for trippy: The movie addresses the life of the playwright Andrea Dunbar, whose first production was staged by London's Royal Court Theatre when she was just 18 and who drank herself to death by 28. Rather than make a straight documentary, Barnard recorded interviews with Dunbar's family, friends and colleagues. The film alternates between scenes in which actors spookily lip-sync those interviews verbatim and scenes from Dunbar's play The Arbor, staged on the grounds of the housing project where she grew up suffering the abuse that became the subject of her work. The Selfish Giant marks the filmmaker's fiction feature debut. You may recognize the title as that of a fairy tale Oscar Wilde wrote in 1888 and intended to be read to children. Barnard's used his creation as a jumping-off point in a way that some will find mystifying. One thing will be clear to anyone, though. This is a picture about kids, not for them. 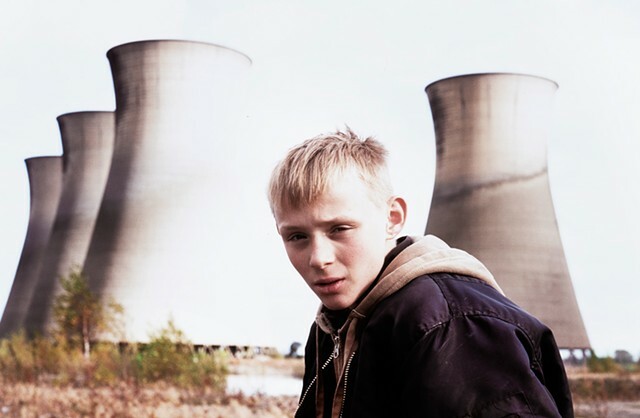 It's a stark social-realist fable set in the postindustrial wasteland of northern England. The film's nonactor stars give two of the most amazing performances you'll see this year. Arbor (Conner Chapman) and Swifty (Shaun Thomas) are best friends in an unfriendly world. Arbor's brother steals and sells the "kiddie coke" prescribed to treat Arbor's ADHD. When Swifty's father isn't threatening him with violence, he's keeping the electricity on by selling the family's rented furniture faster than the repo guys can come after it. Both boys have been expelled from school. The subtext is that generations of the country's young have been abandoned by the government — the "selfish giant" in the director's analogy, I'm guessing. The single path to self-sufficiency open to the boys in this blighted place is scrapping — stealing metal and selling it to a shady junk dealer named Kitten (Sean Gilder), who's straight out of Dickens and happy to have urchins do his dirty work. Fun fact: Before being cast to play Swifty, Thomas supported himself by scrapping. He was a method actor and didn't even realize it. The boys' friendship is beautiful, but little else about life in Yorkshire is. As things get harder and harder for their families, the two get involved in riskier and riskier business. Copper, they learn, is the gold standard, and miles of the "bright wire" lie literally underfoot for the taking. All one needs is nerves of steel and lots of luck. The world Barnard creates here is so alien it might as well exist in another galaxy. So unrecognizable is the dialect that subtitles are often required. At the same time, the story she tells is movingly universal. You'll connect with these characters. You'll root for them as they risk everything to break free of the bleakness they were born into. And you'll feel it when, just as things begin to go well, they go haywire instead. The Selfish Giant is not showing in any theaters in the area.